after dirt particles were filtered out. So far, radioactive materials (cesium, all-beta, tritium) have been detected from groundwater samples from the shallower, upper permeable layer. This is the first detection of radioactive materials from the groundwater below the level of the in-the-ground impermeable wall made of waterglass that is still being built closer to the plant harbor. The water got contaminated when it was being sampled. Japanese net citizens on Twitter and message boards who heard about the news (it doesn't look to be many) are all doom and gloom, having already come to the conclusion that the lower permeable layer is contaminated (TEPCO's hypothesis No.1). 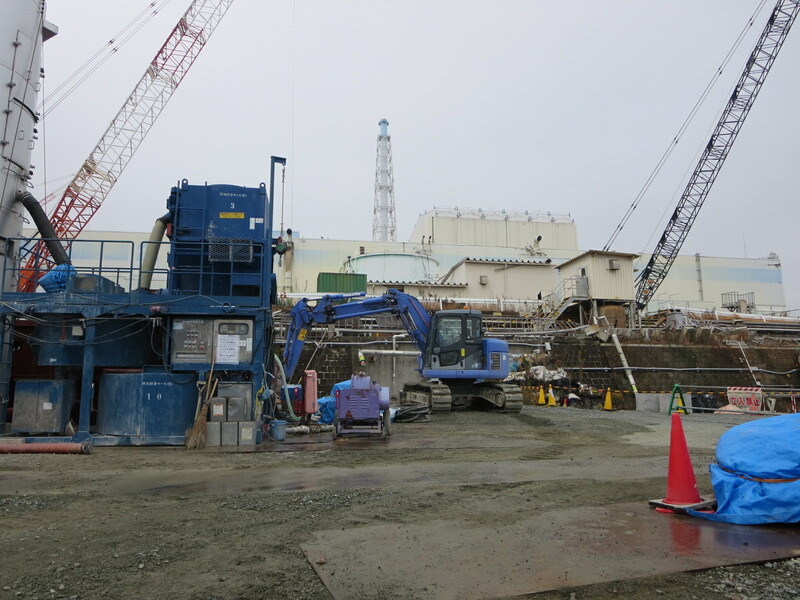 Details are to be announced By TEPCO's president Naomi Hirose at a press conference starting at 5PM, December 20, 2013, according to TEPCO's tweet. "Decommission Company" is not going to be a separate company with separate capital but a company within TEPCO, more like a division. The idea was first floated in October this year at an LDP work group on recovery and reconstruction. Now, why would they do that, instead of setting up a separate company? I have some ideas but they are not firm yet. I'll wait till I hear Mr. Hirose. This "Decommission Company" will be in charge of decommissioning Fukushima I Nuclear Power Plant and dealing with contaminated water at the plant. Two disparate objectives it seems to me, but clearly not to LDP or TEPCO. Reuters Japan reports (12/20/2013) that the national government will increase the amount of loan to TEPCO for decontamination and compensation from 5 trillion yen to 9 trillion yen. In addition, the government will pay 1.1 trillion yen to cover the cost to build the intermediate storage facilities for the contaminated soil removed as the result of decontamination. 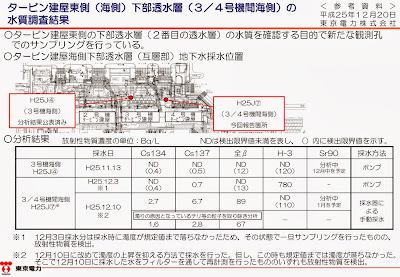 The cost of building the intermediate storage facilities was to be paid by TEPCO. 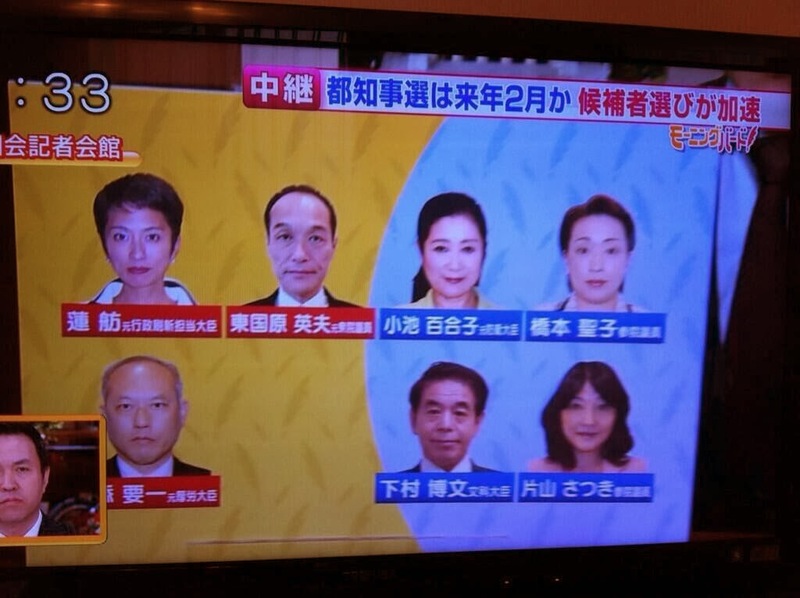 Total support of over 10 trillion yen, with the national government paying, not just TEPCO. Now it's getting halfway to the amount that some people say will cost to decommission and decontaminate. 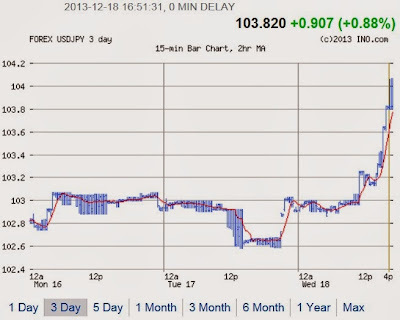 If Japan had been to print money in great quantity and spend it, it would have been after March 2011. It didn't. The government of Democratic Party of Japan, whether under Naoto Kan or Yoshihiko Noda, was too busy putting the blame of the accident on TEPCO and looking for cheap solutions. They sure found the cheapest solution: talk. 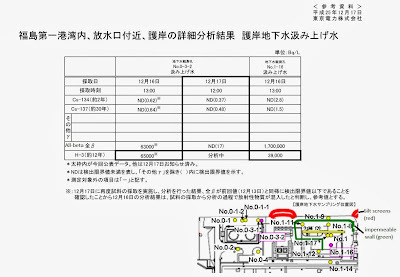 The PDF document that TEPCO released on December 11, 2013 (in Japanese only, so far) also contained information on air dose rates in different areas inside the plant compound, and how TEPCO hopes to reduce the rates for workers who have to work in the cluttered, high-radiation environment. 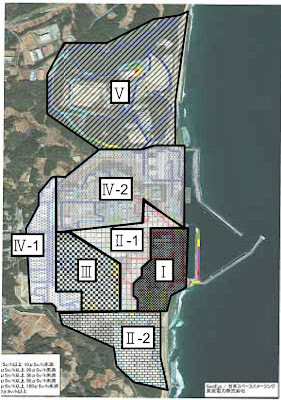 Area I is the ocean-side (east) of the reactor buildings and turbine buildings (1 - 4). Between the turbine buildings and the open channel of the plant harbor, workers are still injecting waterglass to create in-the-ground impermeable wall to stop the groundwater from leaking into the harbor. Debris in this area is highly contaminated with fallout, and the effect of direct radiation is also significant. 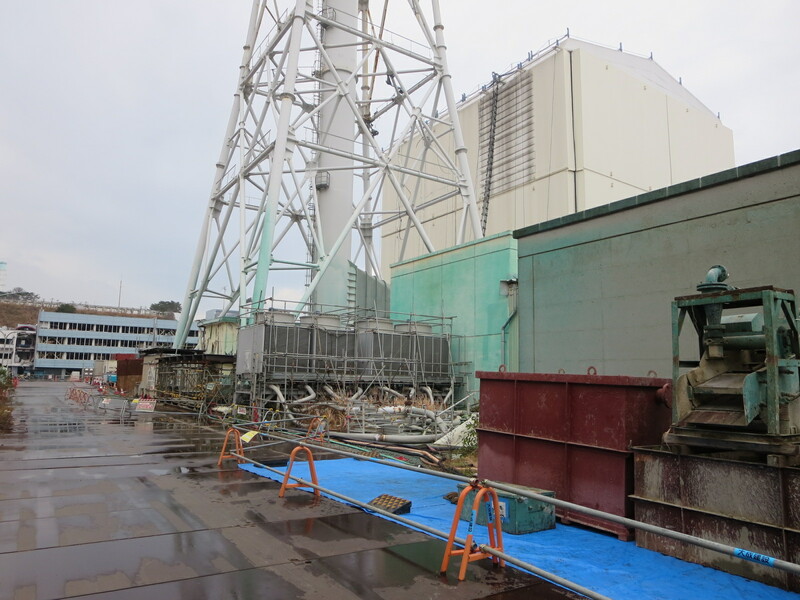 It is a high-radiation area (over 100 microsieverts/hour), and unless the debris are removed, the air dose levels there are not going to come down. Area II-1 is the mountain-side (west) of the reactor buildings (1 - 4), and radiation levels are high. 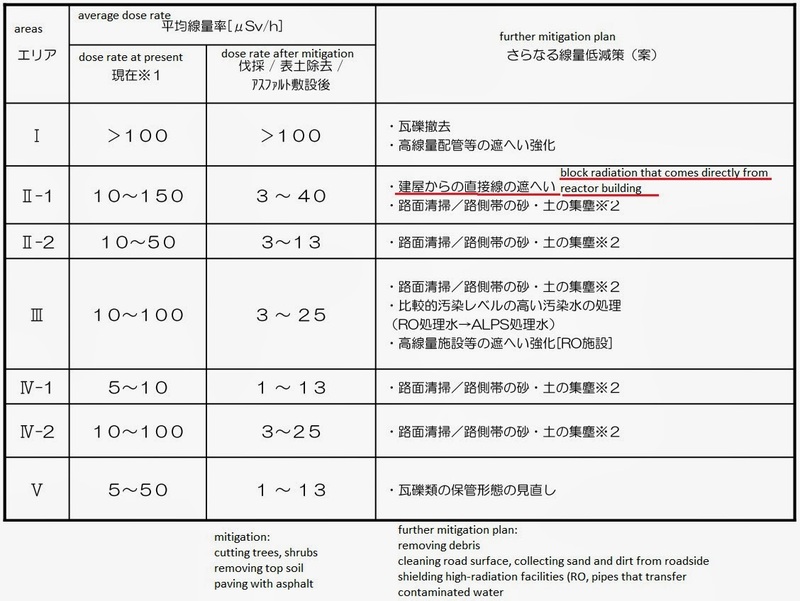 In the far right column "Further mitigation plan", TEPCO writes, "block direct radiation that comes from reactor buildings". Area III may not be that high in gamma radiation but it is the area where the waste water after reverse osmosis (desalination) leaked, and it has high beta radiation contamination. Area IV-1 and Area IV-2 are the only two areas with relatively low air dose rates. The anti-seismic building is located in Area IV-2. Area V is where the removed debris is stored. Clear the debris first, bury them somewhere so that we can work, Mr. Michio Ishikawa of Japan Nuclear Technology Institute said in April 2011. 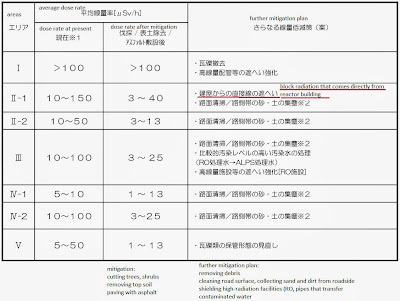 Two years and eight months later, TEPCO's radiation mitigation plan in December 2013 is to clear the debris and sweep the roads. At least spam attacks stopped. I'll have to keep an eye on the comment section for a while, as certain references and links seem to have triggered the event that forced me to shut down the comment section. 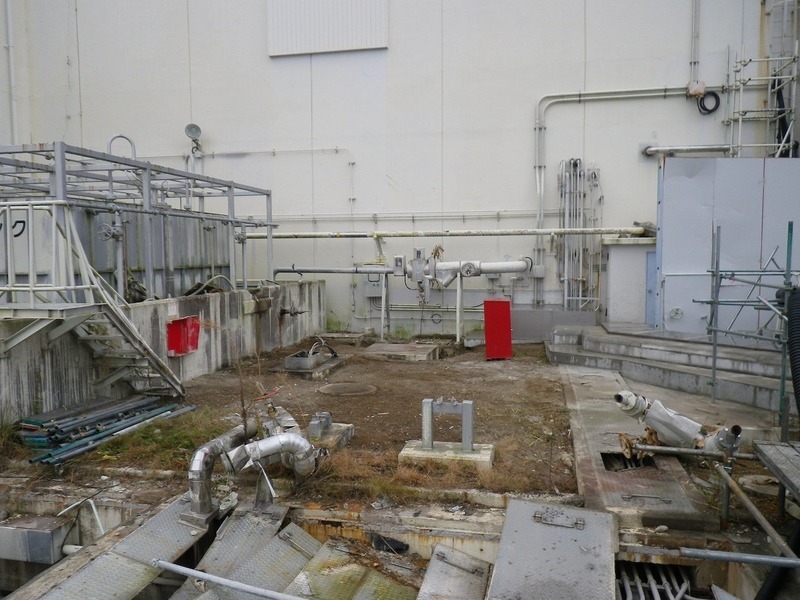 While I'm at it, I might as well show the most recent photos that TEPCO released which, I think, show what lack of money and planning (and lack of decision-making itself) has done (or hasn't done, in this case) at Fukushima I Nuclear Power Plant in the past two years and nine months. Some areas inside the plant compound today look exactly the same as in March 2011. 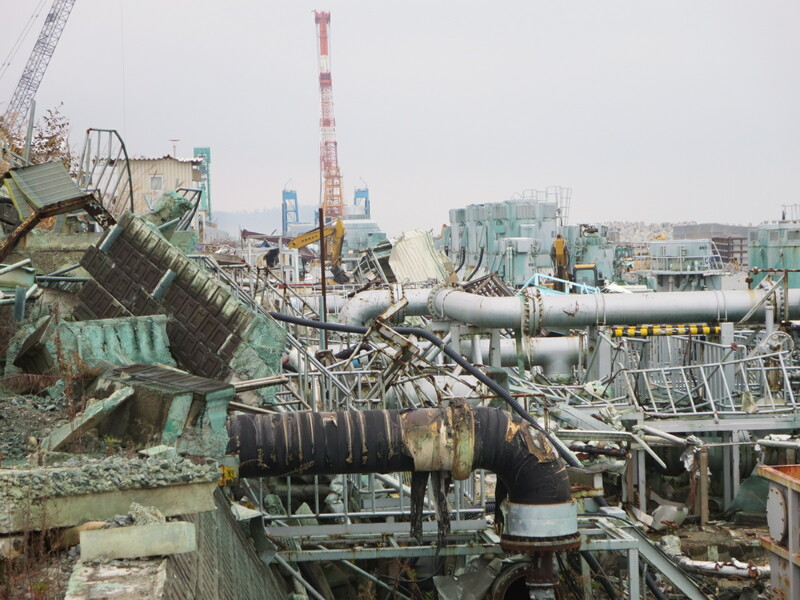 Debris removal will continue systematically, says TEPCO [meaning "extremely slowly, piece by piece"). I still vividly remember Mr. Michio Ishikawa of Japan Nuclear Technology Institute on April 29, 2011 on an all-night TV program. To the astonished fellow guests (or guests who were feigning astonishment), Mr. Ishikawa, a strong proponent of nuclear energy, said as a matter of fact that all nuclear fuel inside the reactors had been melted down, the government was lying about it, and some of it would be already outside the Pressure Vessels. He also said, "This is a war." No one took his word seriously, and we are where we are today as the result. 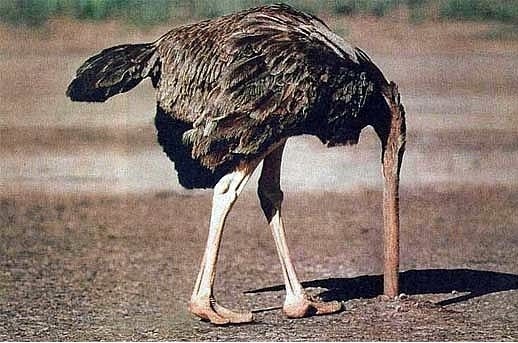 Mr. Ishikawa's remark on core melt was not even in the news the next day. Hardly anyone talked about it even on Twitter. "Why should we listen to a pro-nuke shill?" was part of the attitude of net citizens in Japan who turned against nuclear energy after the Fukushima accident. 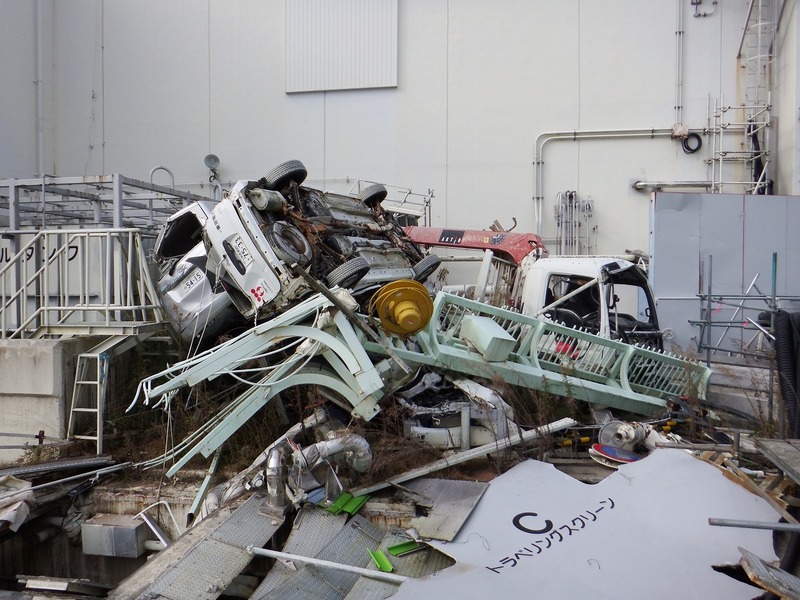 So today, radioactive debris continues to litter the site, hindering workers' efforts. We have been doing something with the turbine buildings (all the contaminated water from the reactor buildings goes to the turbine building basements, from which the water goes either to another building for storage or to the cesium absorption system (SARRY, or on rare occasions, Kurion). The quantitative easing (QE) that was started in September 2012 will continue at $75 billion a month, instead of $85 billion. Much like the federal budget forged by GOP's Paul Ryan and Dem Senator Patty Murray, which does nothing of actually reducing deficit but only reducing the rate of deficit increase. Bullish for the stock market! Cumulative progress of 0.1% taking from 99.9%, and an improved outlook for the job market expressed by the lower unemployment rate, because they stop counting people whose unemployment benefit has run out even though they are still looking for jobs. The unemployment rate is set to dramatically fall next year, as the Ryan-Murray budget deal is making sure of it by cutting the extended unemployment benefit beyond 26 weeks. Bullish for the stock market! Just keep buying the risk assets, as almost all bearish investors have thrown in the towel. Even people like Hugh Hendry, who is effectively saying, "Nothing matters but trends." 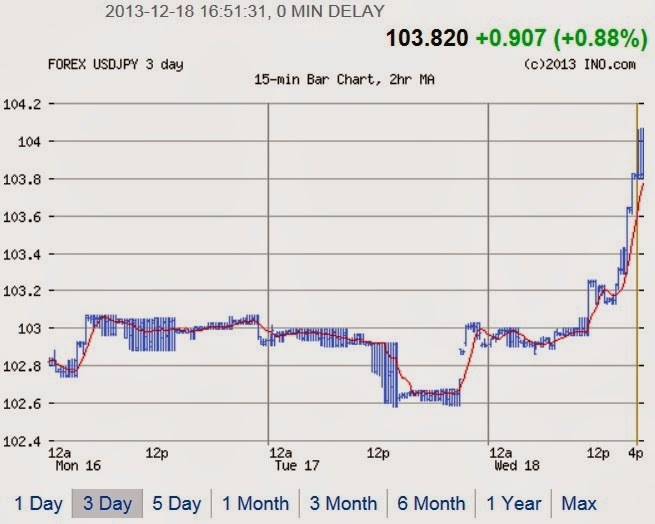 Japanese yen has turned even lower against US dollar, at 104 yen per dollar. Hello more carry trade. 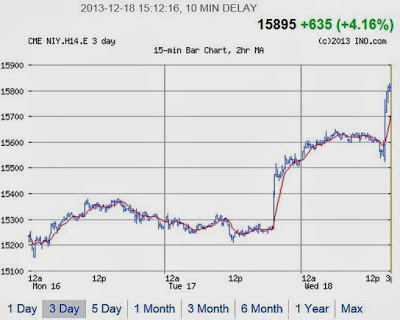 Economically ignorant Prime Minister Abe (just like his US counterpart) will exclaim, "See, my Abenomics is working!" The news yesterday (12/16/2013) was that 63,000 Bq/Liter of all-beta that includes strontium-90 was detected in the groundwater sample from an observation hole right on the embankment near the open channel in the plant harbor. The fear was that the groundwater high in all-beta, well exceeding the TEPCO's in-house limit of 10 Bq/L for strontium, was leaking unchecked into the harbor, because the in-the-ground impermeable waterglass wall is not in place at this particular observation hole. 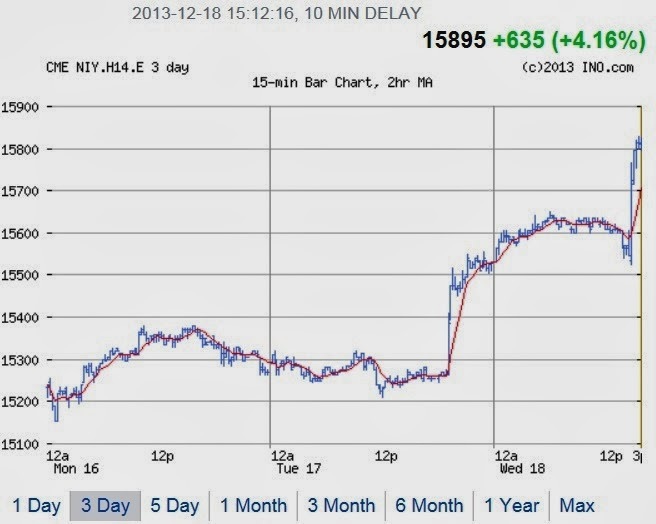 This sudden spike made no sense, as this observation hole, No. 0-3-2, had never had such a high number for all-beta - for that matter, not even for gamma nuclides (cesium). Then the next day it all made sense. 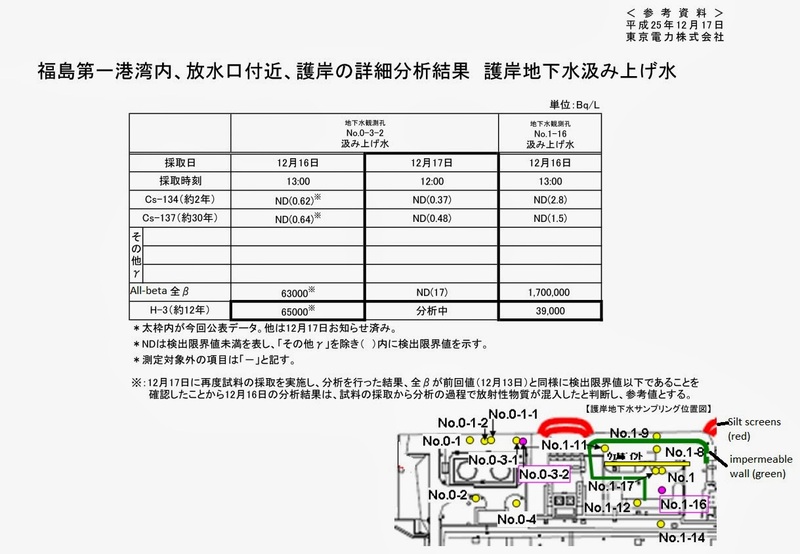 At some point between the collection of the samples and the measurement, TEPCO managed to mix up the sample from the hole No. 0-3-2 with the sample from the hole No. 1-16, which was found with 1,700,000 Bq/L of all-beta on the same December 16, 2013. Another example of the deteriorating quality of the workers at the plant, AND of the managers who are supposed to train and oversee the workers. Now, an interesting question is: Where is the groundwater that is sampled at the hole No. 1-16 coming from? Note that the amount of radioactive cesium is below detection levels (2.8 Bq/L for cesium-134, 1.5 Bq/L for cesium-137), but all-beta (at least half of it is strontium-90) is 1.7 million Bq/L. At first, I thought this water may be coming either from the leaky tanks that store waste water after cesium absorption and desalination (reverse osmosis), or the tanks that store treated waters, as that would explain the lack of cesium and abundance of all-beta. The water from the hole No.1-16 contains too much all-beta if it comes from treated water tanks, and contains too little all-beta if it comes from waste water tanks that are leaky. Besides, both treated water and waste water do contain radioactive cesium above the detection limit. So my brilliant idea is not so brilliant after all, but there is one another, more likely possibility (h/t Kontan_Bigcat). The water that is finding its way to the hole No. 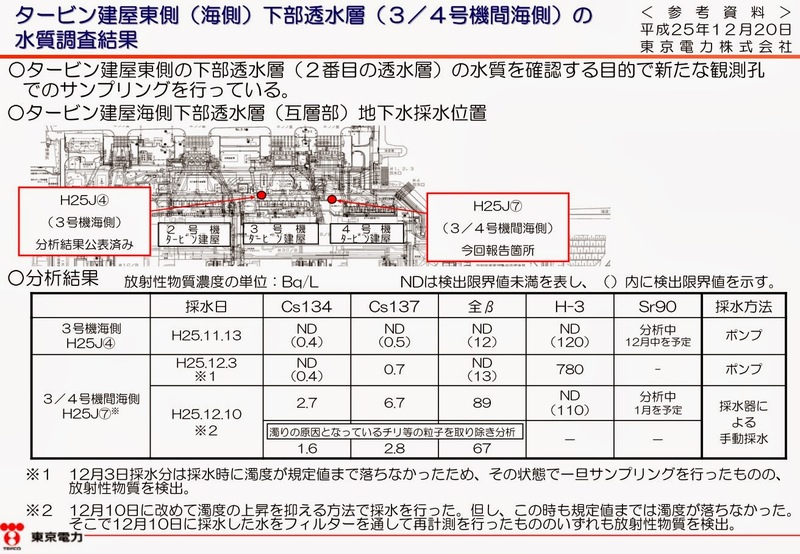 1-16 may have come from the trenches, either from Reactor 2 or Reactor 3, and filled with the highly contaminated water from April/May of 2011 when the water leaked from the reactor buildings into the turbine buildings after it cooled the broken reactors then into the ocean via the trenches that connect the turbine buildings and water intakes at the embankment. 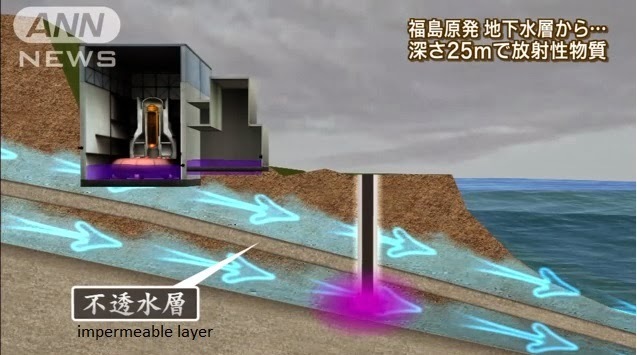 The reason for the non-detectable levels of radioactive cesium may be that radioactive cesium has been absorbed by the dirt/soil after two years and 9 months. 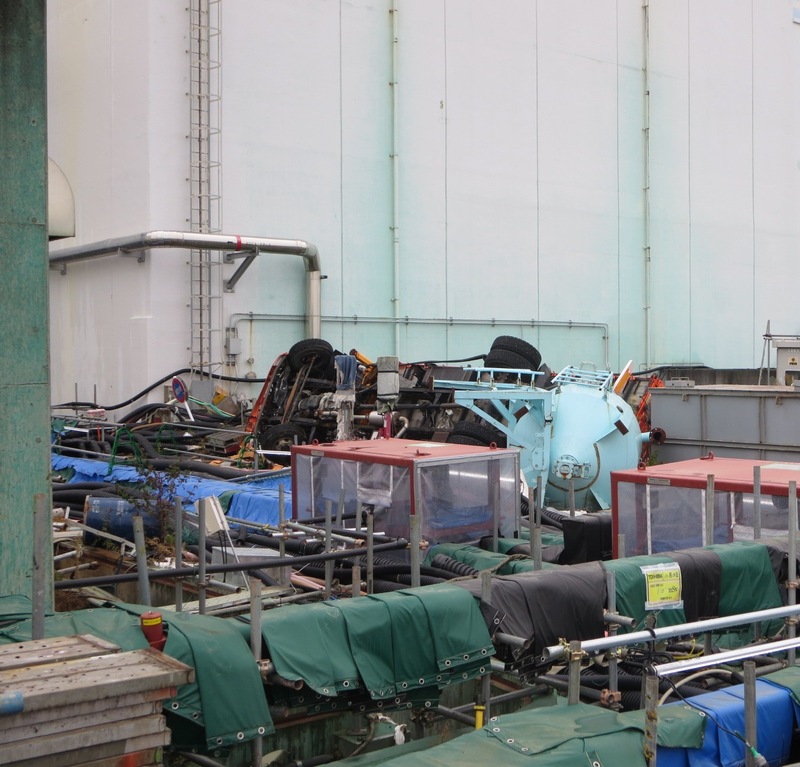 Whether or not this trench water has been leaking has been discussed at the meetings of Nuclear Regulation Authority, which usually end with one or more commissioners and/or experts scratching their heads at TEPCO's non-explanation. 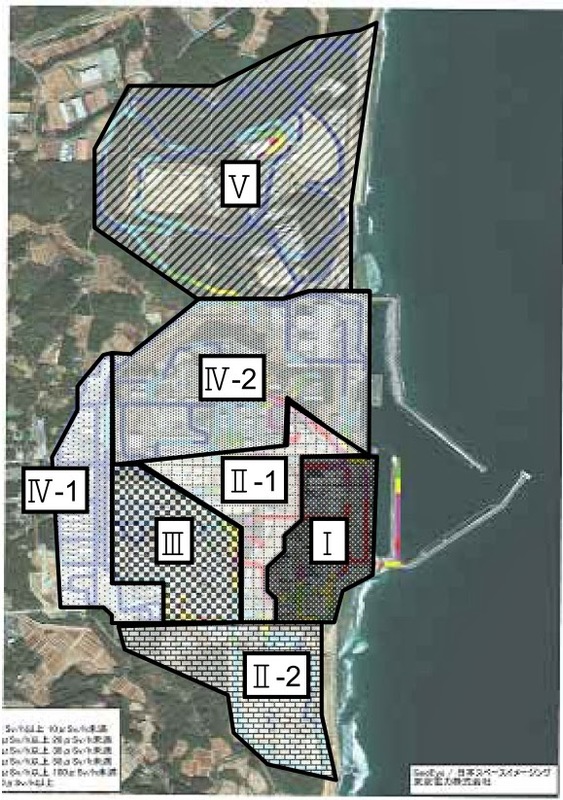 But as this blog wrote in July this year, detection of significant amounts of radioactive materials along the embankment started right after TEPCO started driving the sheet piles into the embankment and into the sea floor of the open culvert in the plant harbor in April in its effort to "stop" the groundwater from flowing into the harbor. Looking at the cesium content of the trench water (7/31/2013 post) as of 7/31/2013, it is not likely that this water is currently leaking from the trench into the surrounding soil (cesium content is too low in the sample water from the observation holes).